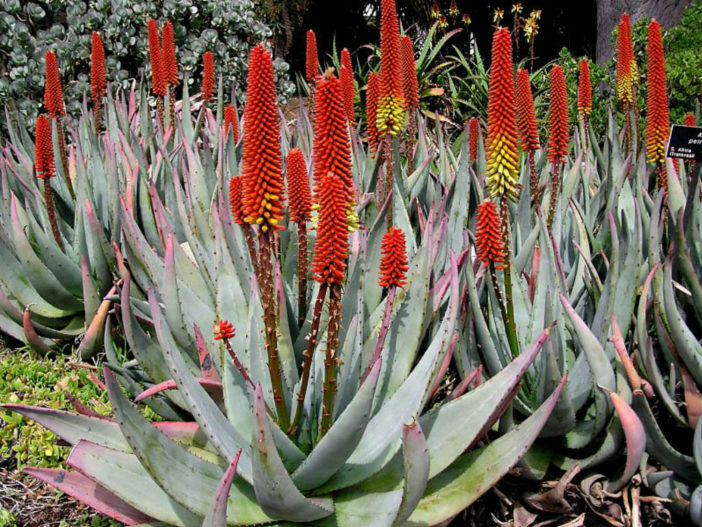 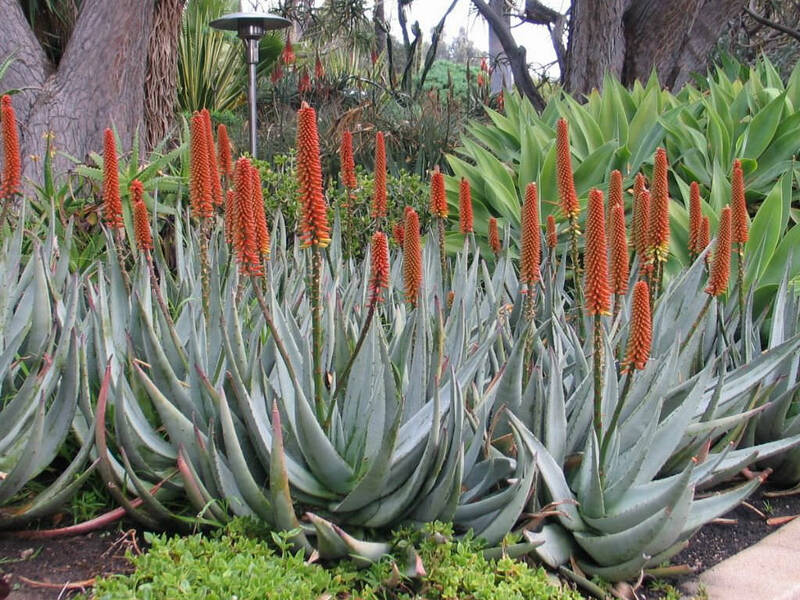 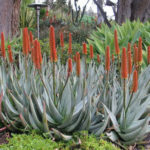 Aloe petricola is a stemless, solitary or sparsely-clustering Aloe that grows up to 2 feet (60 cm) and up 3 feet (90 cm) wide, with broad-based, narrow-tipped, long, blue-gray leaves that curve up and then inwards, giving the plant a ball-like, rounded form. 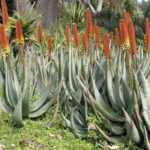 The leaves have occasional very small teeth on the upper leaf surface with usually more on the lower and sharp brown teeth along the margins. 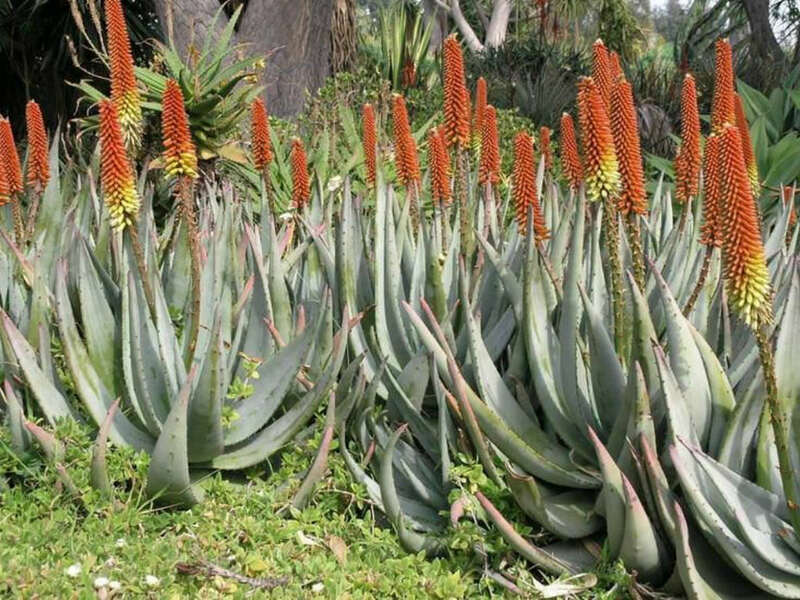 In mid to late winter appear the distinctly bicolored flowers, which are reddish orange in bud, opening to cream to pale yellow with faint green striped petals and dark brownish anthers, all densely stacked on the stems and opening from bottom to the top. 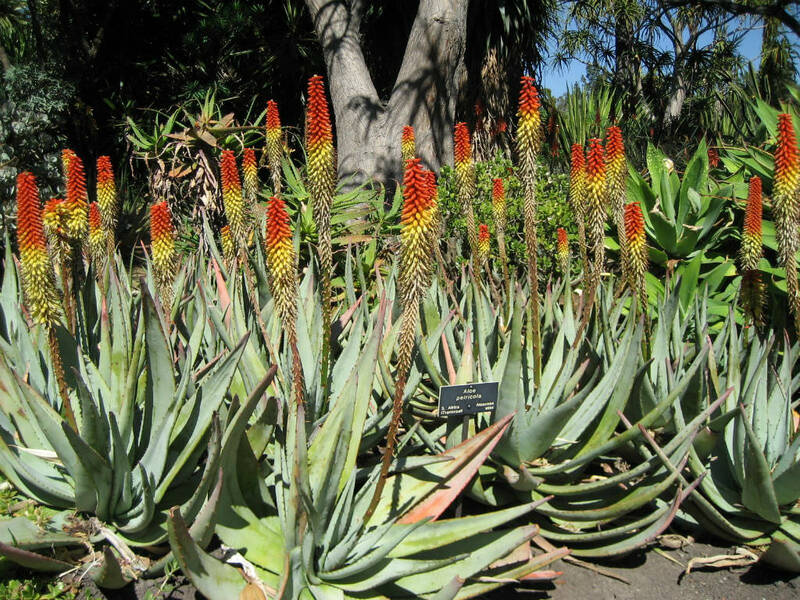 On younger plants the flowers are on a tall simple unbranched inflorescence but are typically on multiple-branched inflorescences on older plants. 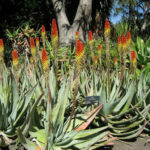 Native to South Africa (Mpumalanga).